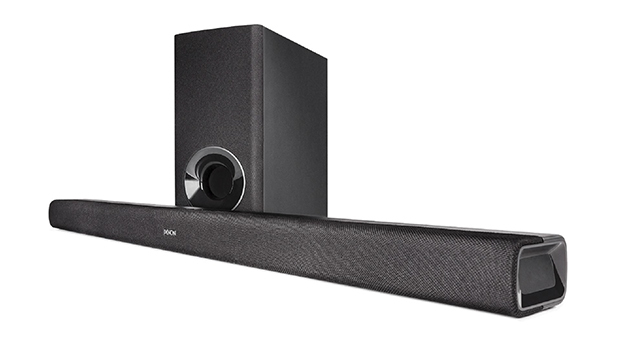 Denon’s latest soundbar looks to offer big sound while being easy on the wallet. The demand for TVs to be as thin as possible in recent years has meant little-to-no room available for proper speakers. 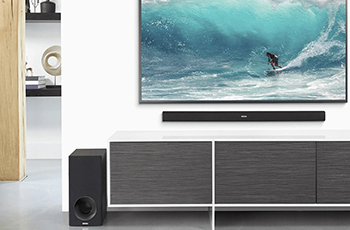 This lack of decent built-in sound has resulted in a boom in the soundbar market – which allow us to compensate and easily exceed the speakers in the TV, meaning that our viewing can sound as good as it looks. Straight out of the awkwardly shaped box (the joys of soundbar/sub combinations), it’s apparent the bar itself is anything but. At a svelte two inches high, the bar is easy to place wherever you’d like. It can sit comfortably below most TVs on their stand, with no risk of blocking the TVs own remote. Sitting at just under a metre in length means it can pair easily with smaller screens such as 43-inch models without looking untidy or out of place. With the front-facing aspect of the bar wrapped in an understated fabric grille, the unobtrusive look is complete. As with many more discrete soundbars, the bass is supported by a wireless (excluding the mains cable, of course) subwoofer. This makes it a less uniform solution than some of its competitors. 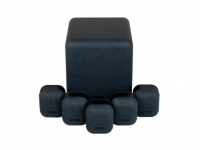 The slimline subwoofer has been designed with living rooms in mind, front ported to stop bass bouncing into walls, or getting lost in soft furnishing; it can easily be placed next to sofas or other furniture. This makes it easy to keep out of sight, but definitely within earshot. The bar is also easy to wall mount, either by using the keyhole mounts placed on the back of the unit – or even by fixing the unit to an existing TV wall mount, moving or not. This means that the bar itself can move with the TV, so that your sound isn’t left behind, firing at an empty viewing area. 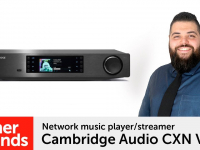 The bar is packed with connectivity as well, with Bluetooth for streaming, HDMI connectivity for higher quality sources such as 4K Blu-ray players, game consoles or Sky Q/Virgin boxes and of course, optical for your TV – even an aux if you’re running out of space! Using sophisticated Denon processing, the bar will even do its level best to provide a simulated surround sound experience. Whilst it’s no match for a soundbar with dedicated Atmos tech or a full surround sound system, you’ll struggle to find better without making a price jump. Big cinematic sound isn’t always the order of the day however. The bar is also equipped for quieter listening with a dedicated Night Mode to improve the loudness of the bar when you need it more discrete. It also has a dialogue enhancer, meaning you can boost the voice channels of the bar without turning the whole system up, keeping the neighbours happy too. As you’d expect from a predominantly musical company, Denon haven’t let musicality fall by the wayside with their new bar. With dedicated, two-way stereo speakers integrated into the slim bar, the smooth, detailed and punchy sound we expect from Denon shines through on the bar as well. 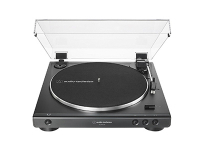 Although with a totally separate subwoofer and such a small driver, the music is left behind by a more hi-fi targeted bar, the DHTS316 still makes a solid effort. 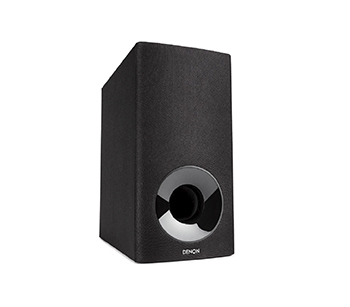 Denon have created a solid threat for the existing market with their latest bar – to hear it for yourself, why not book a demo at your local Richer Sounds.